No matter if you are a small production company trying to sell your show, a large corporation producing training videos for your employees, or a network with complex programming, CMG is your best option for all of your language customization needs. 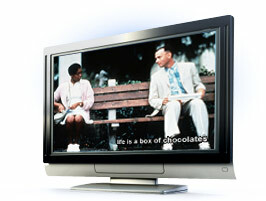 The most advanced technology in subtitling and captioning. Impeccable client service: We adapt to your deadlines and needs.